You’ve heard of the Peter Principle (in bureaucracies, people work to the level of their incompetence) and Moore’s Law (the number of transistors in an integrated circuit doubles approximately every two years). At MS2 we‘re not sure it’s a “law” but it sure is “big data.” It took us four years (2011-2015) to reach 1-billion WIM vehicle records managed. Two years later, in August 2017, it’s now 2-billion WIM vehicle records managed in our Transportation Data Management System. What does this mean for you? 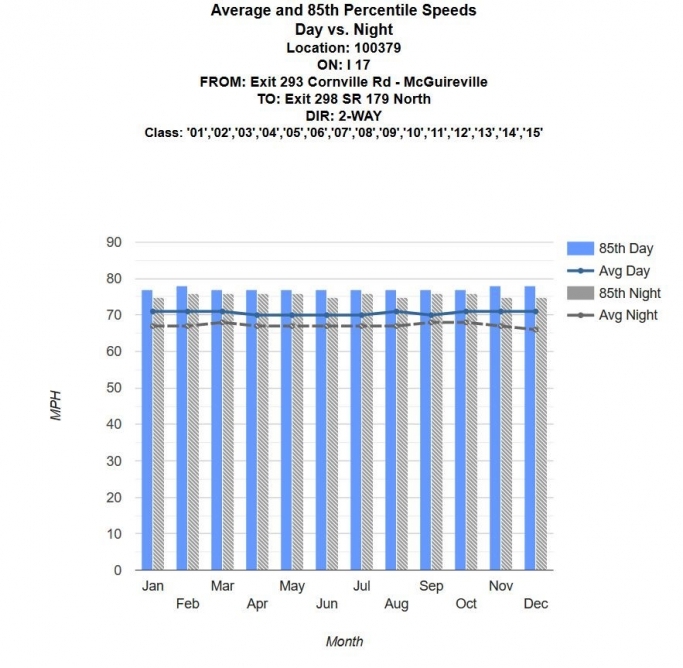 As a DOT traffic data monitoring expert, you need the most accurate WIM data possible so you can enforce speed and weight limits on your state’s roadways. Below is a graph showing how MS2’s WIM speed data can be visualized to help data managers make decisions. DOT traffic data managers need a quick way to visualize the gross vehicle weights of Class 9 vehicles at a certain location. MS2 solves this problem in a matter of three button clicks. 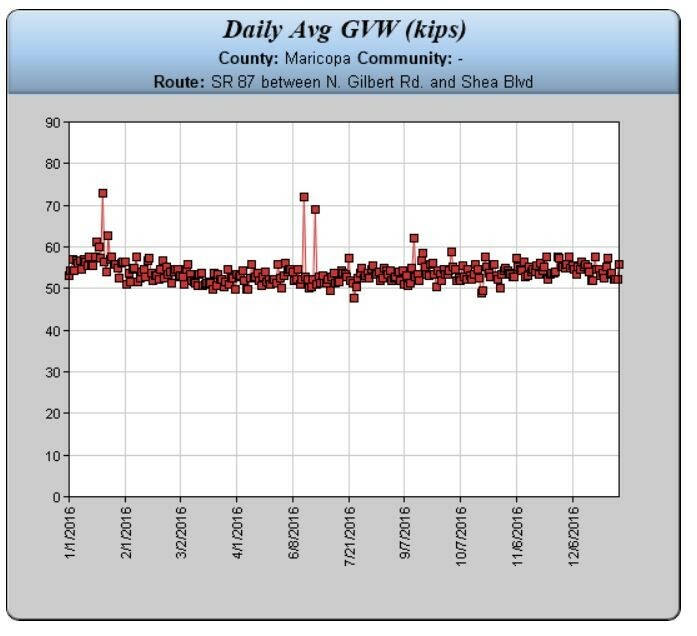 See a typical Daily Average Gross Vehicle Weight graph below for a WIM location in Arizona. For software companies like MS2, it’s easy to boast about the size of the data sets we manage for our clients. But in the end, the message is “What’s In It For Me?” as a client of MS2. The answer is the size of our WIM and other data sets correlate with our level of expertise and understanding of the problems our clients are trying to solve. Big data is great but it’s even better when users of that data can make informed decisions using software tools like MS2’s Traffic Data Management System to easily graph, analyze and visualize that data.